It would certainly seem that answering this question is the first order of business. After all, before we dive in to something it would be smart to know just what it is that we're diving into, right? The term yoga has taken on lot of different associations these days. 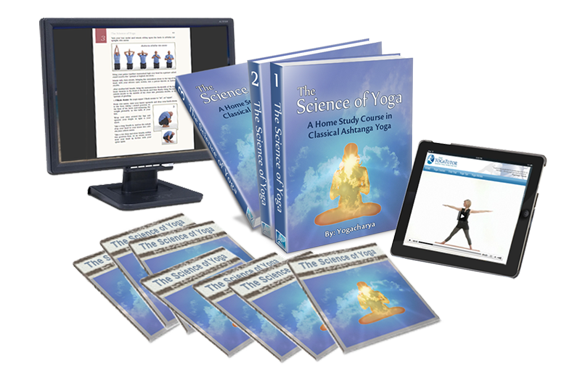 A lot of debate rages between different schools of yoga, as well as within the fast-growing ranks of modern yoga teachers, as to what this thing called yoga really is all about. Defining the term yoga takes more than just words. 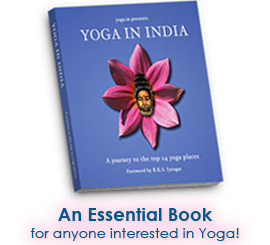 The eminent yoga masters will tell you that 'knowing' yoga takes a great deal of exploration and a lifetime of experience. "Yoga is the cessation of the whirlpools of the mind." "… Be even tempered in both success and failure. This mental evenness is what is meant by Yoga. Indeed, equanimity is Yoga!" "Yoga is the union of Jiva (individual consciousness) with Brahma (Universal consciousness)." "(He) who looks upon opposites as equals, who has risen above duality, and thus freed himself from both vice and virtue, is a Yogi. Verily, work done to perfection is Yoga. Yoga is skill in action." Yoga is indeed all of this and more. But what about the stretching,breathing and exercises? Yes, there are physical elements that also play a role in yoga and we will explore these over the coming lessons too. Most importantly though, yoga is an exploration of our own selves on every level, including the physical, the mental, the emotional, and the higher spiritual, and this is what I will help you, throughout this yoga training program, to uncover.